If you are interested to market, promote and sell our popular Alaska Tours year around actively as one of our official General Sales Agents (GSA) within your country or within a specific region - please contact us. We provide attractive rates, design and assign a specific website for your particular feeder market if needed and assist you with your online marketing campaigns to succeed within the marketplace. Please do not hesitate to contact us for further information. 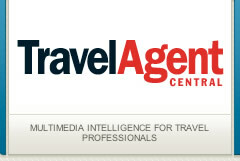 We are happy to cooperate with licensed and registered international travel agents and tour operator. Our rates are extremely reasonable and of course commissionable.